“Once I had glimpsed it, the Antarctic remained lodged in my mind’s eye.” Sara Wheeler spent seven months in the Antarctic in an attempt to escape from the chaos of her life in England (although she did not realize this at first). In her 1996 book, Terra Incognita, she moves details her own travels around the continent as well as the history of the Antarctic. 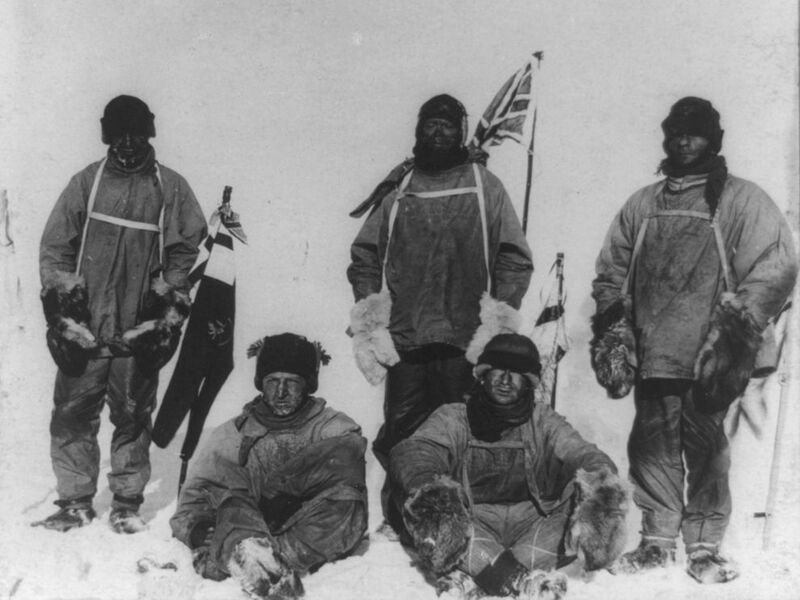 She goes to the Minnihaha Ice Falls and Cuff Cape to see the Emperor Penguins that had so intrigued and then haunted Apsley Cherry-Gararrd during the 1910-1913 Scott expedition (pictured below). She lingers in Scott’s hut, thinking of his epic tragedy and her own life. She observes the nostalgia freely expressed by the scientists of all nationalities who are doing research in Antarctica. At McMurdo Sound, she learns to drive all-terrain vehicles and small John Deeres. She delves into Antarctic literature, noting that little of it is written by women. Wheeler’s trip south was, she admits, an attempt to deal with her depression and use of alcohol, which had gotten out of hand back home. Hers was a problem with which a number of explorers, including Bob Bartlett, struggled. Her problems helped her develop her remarkable understanding of and empathy for explorers. Antarctica’s gift to Sara Wheeler was that it “allowed [her] to believe in Paradise.” Yet this is not a romantic book; instead, it is one well worth reading. With Cherry’s The Worse Journey in the World, Sara Wheeler’s Terra Incognita: Travels in Antarctica is a polar masterpiece and perhaps my all-time favorite polar book. This entry was tagged Antarctic, Antarctic explorers, Apsley Cherry-Garrard, Bob Bartlett, Captain Bob Bartlett, Robert Scott, Sara Wheeler. Bookmark the permalink.